Anime Remix: Japanese Culture Edition-Weird Japanese Potty Training Video!!!! Now over the last few years, I have seen some really weird videos that I have decided to use for Anime Remix. But the one that I am going to be talking about has to be one of the most weirdest videos that I have ever seen in my entire life. 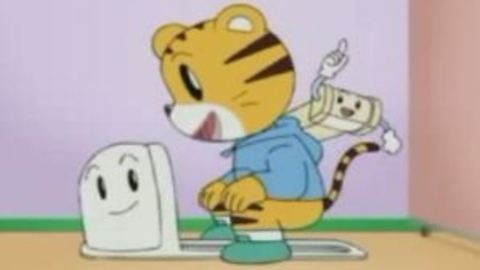 Now in this following video, we see a little tiger character named Shimajiro teaching young Japanese toddlers how to go to the potty. Now if you think potty training was weird for you growing up, just imagine how many kids would be freaked out by this if they had to see this here in the states? Pretty scary I would imagine. But if you think that is strange, you should see how they teach kids to do number two!!!!! Enjoy the videos everyone and I will catch you guys later!!!! !